Celebrating all things Cornish, this event is being held to raise money for Gunnislake Public Hall. 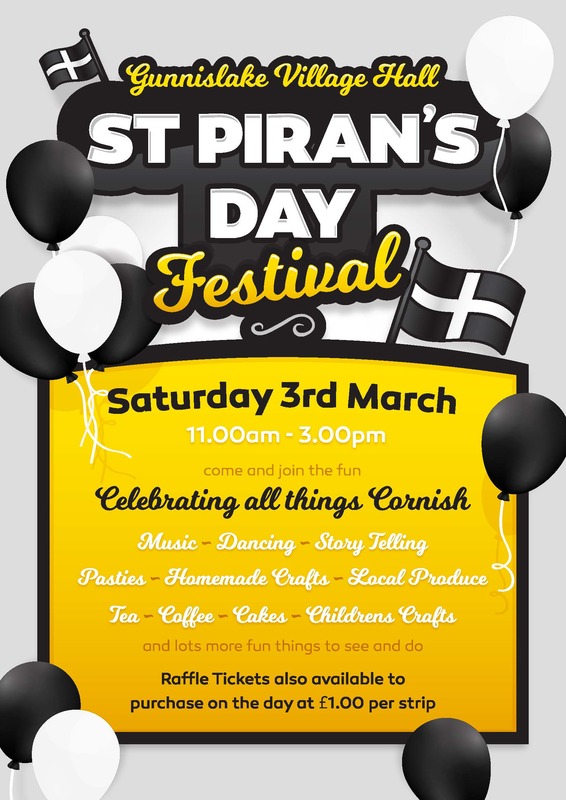 There will be children’s stories, Cornish speaking and live music as well as stalls featuring local produce and handmade crafts. Refreshments will be available and there will be a raffle with some great prizes kindly donated by local businesses. Come and join the fun – see our Facebook page for more details!